Dr Emma Burrows is a NHMRC-ARC Dementia Research Development Fellow and leads a research program aiming to understand the neurobiology underlying cognitive disorders, at the Florey Institute of Neuroscience and Mental Health. Emma’s research utilises animal models to investigate how genes and environment interact to produce phenotypic changes relevant to autism spectrum disorder. Her goal is to help improve treatments for major psychiatric illnesses through high quality basic neuropsychiatric research. Emma believes that breakthroughs in this field will be made by interdisciplinary teams embracing novel technologies, and intends to lead such a team in the future. Emma is an ambitious scientist who has won a prestigious Victoria Fellowship and a Young Researcher Exchange Award from the Australasian Neuroscience Society and the Federation of European Neuroscience Societies. 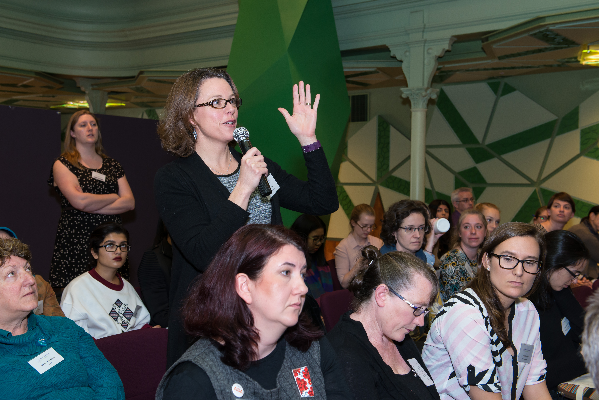 Emma is co-founder of the Florey’s Committee for Equality in Science, a founding executive member of the Women in Science Parkville Precinct, and a Board member of Women in STEMM Australia.